LONDON (AP) -- Researchers say they have found new evidence that Greece's financial crisis is taking a toll on the health of its citizens, including rising rates of HIV, tuberculosis, depression and even infant deaths. Since the economic crisis hit several years ago, the government's health spending has been slashed and hundreds of thousands of people have been left without health insurance. As cuts have been made to AIDS prevention programs, rates of HIV and tuberculosis in drug users have spiked. Previous studies have found suicides in Greece have increased by about 45 percent between 2007 and 2011. The new research found the prevalence of major depression more than doubled from 2008 to 2011, citing economic hardship as a major factor. Suicides and mental health problems tend to be underreported, so "this is probably just the tip of the iceberg," said Alexander Kentikelenis of Cambridge University, the study's lead author. The study's findings were based mainly on population surveys and statistics from the government and other sources including the European Commission. Kentikelenis said it would take years to measure the long-term consequences of people being without regular access to health care, particularly those with chronic conditions like heart disease. Kentikelenis and colleagues also observed a 21 percent rise in stillbirths, according to figures from the Greek National School of Public Health. "Some pregnant women no longer have access to health care, therefore the complications later on in their pregnancy can be more pronounced," he said. Kentikelenis and colleagues also found infant deaths, which had previously been falling, jumped by more than 40 percent between 2008 and 2010. He said that was likely linked to babies not getting enough to eat and fewer medical check-ups, as families cut off from state health care couldn't afford private treatment. The research was published online Friday in the journal, Lancet. The medical charity Doctors of the World confirmed the Greek financial crisis has had a devastating impact on health. In response, the group has doubled the number of programs it runs in Greece since the crisis began. 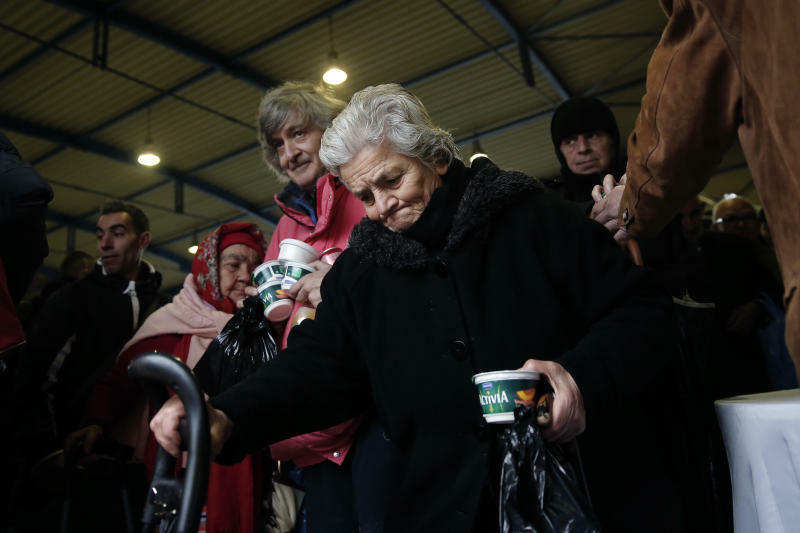 Though the charity originally started its operations in Greece mainly to treat vulnerable foreign populations like refugees, deputy director Nathalie Simonnot said it is increasingly treating ordinary Greek citizens with no other means of getting health care. Simonnot also said they had seen rising numbers of pregnant women unable to afford hospital visits and diabetics who had to choose between buying food or insulin. "We see people in conditions I've never seen in my life," she said, referring to patients who have turned up at clinics with chunks of their flesh missing. Simonnot wasn't very optimistic the Greek government would be able to reverse the situation anytime soon, slamming their 2012 reintroduction of a law that forces drug users, prostitutes and immigrants to be tested for infectious diseases under police supervision. "That's a complete violation of their human rights," she said. "There is a lot of solidarity among the Greeks but the entire health system is under enormous pressure."